Metro Rhythm is starting off spring with a delightful nosegay of verse for you. On April 13 we’ll have work from some fantastic New York poets– Daniel Wenger, Dolan Morgan, W. M. Lobko, Jocelyn Casey-Whiteman, and M. A. Vizsolyi, to be exact– along with drinks and general bonhomie. And there’s no better place to watch spring hoping eternally around you than Brooklyn Fire Proof. As usual, we will commence kicking at 8:00 pm. Not as usual, we’re doing our kicking on a Saturday, so you should plan on being fully divested of your weekday cares, and ready to get down with some poems. Daniel Wenger studies poetry at Brooklyn College and works as an editor at Medium. 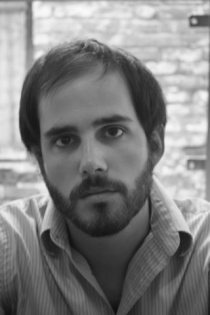 Dolan Morgan lives and writes in Greenpoint, Brooklyn, where he is an editor at The Atlas Review. His poems and stories can be found in Pank,The Collagist, Contrary, Armchair/Shotgun, Red Lightbulbs, Field, elimae, TRNSFR, The Believer, and numerous other journals. His work mythologizing airplane hijackings is featured in the documentary project, Fortnight. W. M. Lobko’s poems, interviews, & reviews have appeared in journals such as Hunger Mountain, Kenyon Review, and The Paris-American. Current work appears in Seneca Review & is forthcoming in The Literary Review & Boston Review. He has been nominated for a Pushcart Prize, & was a semi-finalist for the 92Y / Boston Review “Discovery” Prize. He is a Founding Editor of TUBA, a new review of poetry & art. He studied at the University of Oregon & currently teaches in New York. Jocelyn Casey-Whiteman is author of Lure (Poetry Society of America New York Chapbook Fellowship, 2009). Her poems have appeared in journals such as Boston Review, Guernica, DIAGRAM, Jet Fuel Review, Threaded, and she’s received grants from the Association of Writers & Writing Programs, Columbia University, and the Vermont Studio Center. 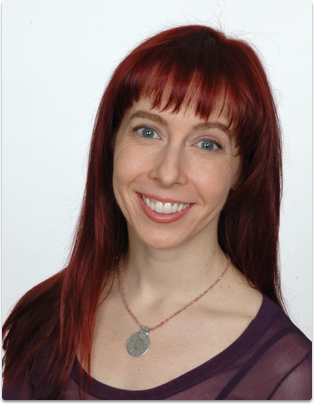 She earned her MFA in Creative Writing at Columbia University and now writes and teaches yoga in New York City. M. A. Vizsolyi holds degrees from Pennsylvania State University and New York University, where he was a Starworks Fellow. He has taught poetry at New York University and to pedi-atric patients at the NYU Medical Center. His poems have appeared in numerous journals, including Margie, 6×6, Slice magazine, and Sixth Finch. He teaches skating and ice hockey in Central Park and lives in New York City with his wife, the poet Margarita Delcheva. His book The Lamp With Wings, was selected for the 2010 National Poetry Series Prize by Ilya Kaminsky. The event is free and open to the public. Please do RSVP on Facebook.